My oldest son Asher has a wheat sensitivity and my youngest son Zephan has Celiac Disease so both boys are on a gluten free diet. My husband and I are not 100% gluten free; however, we eat a lot of what we make for the boys. 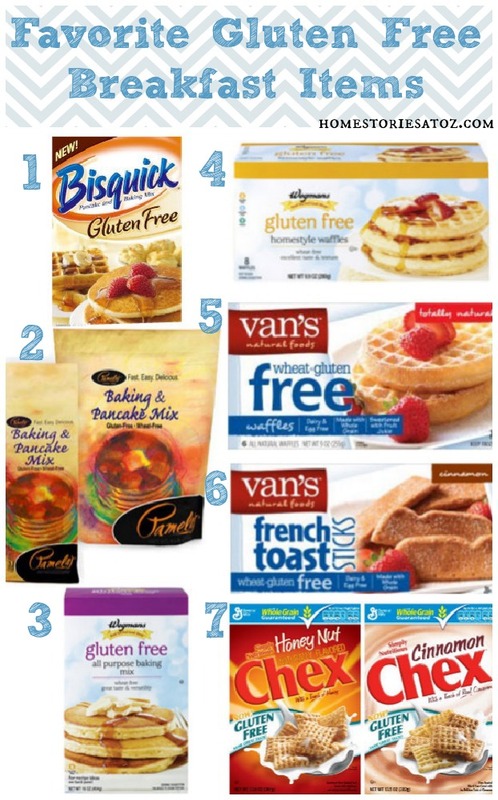 Today I thought I’d share with you some of our favorite “go to” gluten-free products. But let me start this post off with a disclaimer. This post is intended for people wanting candid advice on store-bought gluten free products that don’t taste like cardboard *wink*. The products I’m sharing today aren’t necessarily the healthiest or cheapest items out there. Many contain sugar, fillers, and processed ingredients just like other non-gluten free boxed, ready-made items. There are sites fully devoted to healthy gluten-free eating just a google search away. This post also contains many store-bought items that can easily be homemade for yourself in a cheaper and healthier fashion. Our family does not just eat store-bought food and we make plenty of things from scratch. However, the intention of this post is to give you a list of store bought products that our family enjoys. We all need convenience every once in awhile. If you’re new to gluten free eating, you’ll quickly learn that ready-made items are EXPENSIVE. The items shared below are not the cheapest available, but are the ones that we find yummy and convenient. I have affiliate linked all the items that are found on Amazon.com for your convenience. If you can’t find the items in your local grocery stores, you may want to use the links to purchase. We have been serving gluten free food to our boys since Zephan started eating solid foods (about 5 years ago), so I have sampled many ready-made gluten free items over the years. I’ll share our favorite pre-made breakfast, lunch/dinner, and snack items today! 1. Bisquick Gluten Free You can find this in most grocery stores either in the special gluten free aisle or right next to the regular Bisquick. It’s a great staple to have on hand. 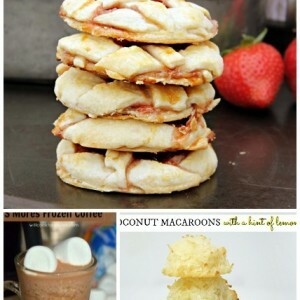 You can make waffles, pancakes, rolls, and drop biscuits with the mix. Two things you’ll quickly learn about gluten free baked goods is that they taste best fresh and warm (don’t all bake goods?) and they are crumblier in texture than their non-gluten free counterparts. 2. Pamela’s Baking & Pancake Mix This is our favorite pancake mix. Matt will make a huge batch of pancakes for the boys at the beginning of each week using this mix. We use the pancakes for peanut butter sandwiches throughout the week as well. The pancakes are less crumbly than bread and tend to keep well in squishy boy lunch boxes :). We keep the batch refrigerated and these pancakes also freeze well. 3. Wegman’s Gluten Free all Purpose Baking Mix If you have a Wegman’s grocery store near you, Wegman’s brand gluten free products are a bit cheaper and still yummy. 4. Wegman’s Gluten Free Waffles These are brand new and our store tends to continually be sold out of them. However they are a tad cheaper than Van’s brand waffles and are comparable in taste. 5. Van’s Wheat Gluten Free Waffles If you like Eggo’s waffles, then these are for you. Van’s waffles come in a few different flavors. Just be sure you’re buying the gluten free kind because Van’s makes non-g/f waffles as well. Our grocery store puts them side-by-side and we’ve accidentally picked up the wrong box on more than one occasion. Grrrrr. 6. Van’s Wheat/Gluten Free French Toast Sticks These are great for a special quick breakfast. Zephan loves to dip them in maple syrup or peanut butter. 7. Gluten Free Chex If you liked Cinnamon Toast Crunch cereal as a kiddo, then you will like the gluten free cinnamon chex. It tastes very similar! The chocolate and honey-nut varieties are also tasty. 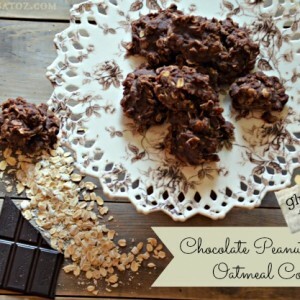 You can also make some delicious cereal bars and treats using these cereals. They are great to have on hand and are relatively affordable. 8. Eek! 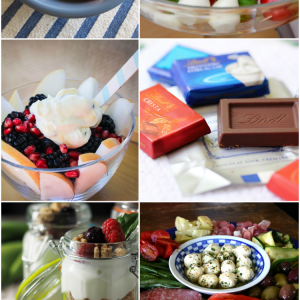 I forgot to add my all-time favorite breakfast treat to the collage above! Donuts :). Kinnikinnick donuts are yummy. They taste more like an Entenmann’s donut than a fresh donut, but I’ve tried all of the flavors and they are a good treat. You can find them in the gluten free frozen foods section in many grocery stores. P.S. Many people like UDI brand bread products, but my boys aren’t fans of most of them. The hamburger rolls are served at many restaurants and they tend to be very dry and crumbly. That being said, they offer a wide variety of muffins, breads, and bagels that you might like. Also, if you like to eat granola for breakfast I like the UDI brand of granola better than Trader Joe’s. 1. Betty Crocker Gluten Free Mixes These are by far my favorite mixes. They are all good enough to serve to even your non-g/f eaters. The chocolate chip cookie mix produces very yummy cookies but the texture is a tad grainy. 2. King Arthur Brownie Mix King Arthur mixes tend to be pricier, so I don’t buy them as often but I like them. Their brownie mix produces rich, moist chocolatey brownies. 3. Annie’s Gluten Free Bunny Cookies These also have that tell-tale grainer texture than their non-g/f sister but they are still a fun treat for school lunches. 4. Glenny’s Gluten Free Oatmeal Chocolate Chip Cookies These are quite good but I believe they are discontinued. You can currently find them in discount stores (like Ollies) at incredibly reasonable prices. 5. Midel Gluten Free Cookies Okay, overall these aren’t our favorite cookies, but they ARE the least expensive. However, the seasonal Gingerbread Men cookies are really very good. I buy out the entire stock at our grocery store when they come out each year because my boys love them :). They taste similar to the Pepperidge Farm Gingerbread men cookies. 6. Glutino Gluten Free Chocolate Vanilla Creme Cookies These are similar to Oreos and my boys would eat an entire bag in one sitting if I didn’t monitor them. 7. K-Toos Gluten Free Chocolate Sandwich Creme Cookies These taste the MOST like Oreos but they tend to be pricier than Glutino’s brand. I only buy these when they are on sale. 8. Kinnikinnick Gluten Free S’morable Graham Crackers So much fun that my boys can enjoy s’mores with graham crackers (and not just chocolate blocks) thanks to these crackers. They are great for camping and s’more making. They also work for making g/f graham cracker crusts for pies. 1. Pirate’s Booty All of the flavors are pretty good but my favorite is Aged White Cheddar. The chocolate is okay but not our fav. The barbecue is yummy and is great since many barbecue items on the market are not gluten free. 2. Snyder’s Gluten Free Pretzel Sticks These don’t taste gluten free to me at all. I’m not sure I would be able to completely tell the difference between a non g/f pretzel stick and these. They are great! 3. Glutino Gluten Free Chocolate Covered Pretzels I can sit and eat an entire bag of these if unmonitored. These are expensive for the amount so they’re a rare treat. 4. Popcorn Indiana Kettlecorn Love this brand of Kettlecorn! Most popcorn is gluten free. Unless the seasoning on it contains gluten you are safe with popcorn. 5. Quaker Caramel Corn Rice Cakes These are good snack items and cost less than many ready-made gluten free items. My boys like them with peanut butter on them. 6. Tostitos Simply Natural Tortilla Chips Corn chips and potato chips are typically gluten free so enjoy! Woohoo! We like Tostitos brand tortilla chips. 7. FoodShouldTasteGood Sweet Potato Chips These are our favorite brand of sweet potato chips and we’ve tried several. 8. Wild Riceworks Gourmet Rice Crisps We’ve tried lots of varieties of Wild Riceworks chips and have enjoyed them all. 9. Rice Crackers You can find these in your “international” food aisle. There are also rice pastas in the Asian foods aisle that are often cheaper than other gluten free brands. Served with cheese and lunch meats these make a great addition to lunch as well. 1. Amy’s Cheese Enchilada- This is a great frozen dinner that I enjoy eating. 2. Ian’s Chicken Nuggets-The boys like most of Ian’s products. We typically make our own chicken nuggets but these are great on “babysitter nights”. 3. Kinnikinnick Gluten Free Frozen Pizza Crusts-We’ve tried a bunch of brands of g/f pizza crusts and our boys chose these as their favorites. The crust has more of a sweet taste to it and is pretty good. 4. Ian’s Pizza-French bread style pizza with soy cheese. These are another “babysitter night” food for the boys. 5. Amy’s Gluten Free Burritos-I love these. They tend to crack in the microwave if overheated so you need to watch them on heating but they are very tasty. 6. Glutenfreeda G/F Pizza Wraps-These are like pizza burritos. Zephan loves them. 7. Applegate Turkey Breast-There are plenty of gluten free lunchmeats but Applegate meats are delicious! Pricey, but delicious. 8. De Boles Corn Spaghetti Style Pasta Rice pasta is good but my guys prefer corn. I usually mix brown rice spaghetti with the corn pasta since the brown rice has more nutritional quality. 9. Annie’s Gluten Free Rice Pasta & Cheddar Asher would eat this breakfast, lunch, and dinner. It’s basically like Kraft mac & cheese. The creamy style is sometimes less expensive per ounce at our grocery store and is also good. 10. Mission White Corn Tortillas Corn tortillas are gluten free and this is our favorite brand. We enjoy mexican-syled foods around here! I hope this post proves helpful to those of you just starting out on your gluten free journey! There are of course other g/f products on the market that we enjoy not listed above, but the one’s listed are indeed our “tried and true” favorites. I’ll leave you with a few final tips. Gluten free products are expensive. You can cut costs by searching the aisles of your discount stores for gluten free products (i.e. Ollies, Christmas Tree Shop, National Wholesale Liquidators, Big Lots, etc.). You will often find some unexpired gems at these stores. I buy a ton of our non-perishables at Christmas Tree Shop and Ollies. I tend to come across a lot of Bob’s Red Mill Farms products at these type of stores. Our family is not a fan of Bob’s Red Mill Farms mixes because they contain a lot of bean flours that we just don’t prefer, but I love their individual flours. You can also search the web for gluten free coupons to cut costs. There are many sites that specialize in gluten free recipes, eating, coupons, etc. Just google search. There is also a facebook site called Gluten-free Savers that offers gluten free deals. Happy gluten free eating! I wish this listed existed 3 years ago when we first went gluten free. I have a 19 year old son who was diagnosed with Ulcerative Colitis when he was 13. We realized about 3 years ago that gluten is a trigger for him. Between going GF and low carb, high fat, his disease has been in remission fro 2 years. There something about processed food that our bodies are not tolerating, more and more. Thanks so much for this post, Beth! P.S. King Arthur’s yellow cake mix makes the best 1) shortcake for strawberries and 2) pineapple upside down cake. Hands down our favorite brownie mix is King Arthur brand. My non gf husband even prefers this mix to all other Brownies now. We add a cup of peanut butter to the dough prior to cooking! Love this. Thank you. 16 yrs old just diagnosed with Celiac. I am cooking a lot and baking our own bread but….we all need a break and he needs food he is familiar with. Snacks for soccer have been difficult. Thanks for the info and helping me realize it’s ok to buy some of this stuff! Absolutely okay! We all know non-processed is best but we also know that sometimes kids just need to feel like kids! Thanks for stopping by my blog. The best GF bread, bagels, pre-made muffins, brownies and more. It sells out before all other brands because it’s awesome! Also, King Aurthur cake mixes are delic.–by far our favorite. This post was such a godsend. I have Celiac as well, and really appreciated the ideas. I love to hear from others what products they like the best. We LOVE LOVE LOVE Kinnikinnick Pizza Crusts we have them at least once a month! We have been gluten free for 2-3 years now and recently found a few new products that are good. Target has an Archer Farms GF pasta that is fantastic! Unfortunately, they are discontinuing it. So, if you can get some give it a try. We just bought the last 25 pkgs of spaghetti at our local store! Also, new to us are Tyson’s GF chicken nuggets (my 8 yr old daughter LOVES them!) and Glutino Genius bread – very tasty (found this at Meijer and Earth Fare). 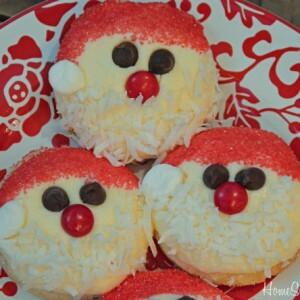 I love to bake and have found great recipes in the cookbook Gluten Free Cookies by Luane Kohnke. The Ginger Molasses cookies are so delicious and her brownies are the only ones I make now. No one can tell they are GF! Thanks Lisa! Great suggestions :). Great post, Beth! I’ve had that mac and cheese in my pantry for ages and have been afraid to try it! If you haven’t tried Udi’s sliced bread – it’s way better than the hamburger buns. Store it frozen and very lightly toast it to thaw. My non-gf 8-year old will even eat it! Also – you can use gf Bisquick to make choc chip cookies. Google the regular Bisquick recipe. They are more substantial and not gooey, so if that’s what your boys love, then they may not care for them. I’ve used the Bisquick to make gluten free scones with success. The boys like those. I’ll have to give the Udi’s bread another try. We’ve tried lots of Udi’s products and just weren’t huge fans. Although, I remember liking the bagels but the boys didn’t. Thank you so much! I just started living gluten free a few days ago and this will help me immensely with my shopping! We LOVE Van’s waffles. They are the best on busy mornings. I clicked on your Disney trip link . . . any tips on going gluten free at Magic Kingdom would be awesome! We are going there in Feb. and I am starting to do my research for our food choices. Thanks! Taylin, if you’re doing the Disney Dining Plan the chefs are amazing at helping you at each meal. The down side is that you have to wait for a chef to come to your table before ordering to discuss all of your allergy needs. Not a big deal really, but more wait time. My oldest is very picky and he was eating too many hamburgers for my taste so I should have pushed more on the kid’s menu g/f options. 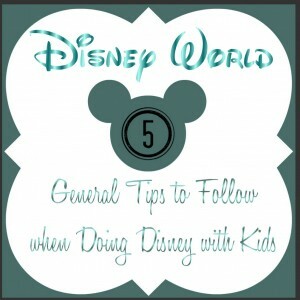 I printed out a similar guide as this one: http://www.allergyfreemouse.com/dining/gluten-free-at-walt-disney-world-parks/ and planned our snacks accordingly. For snacks, we did a lot of ice cream. If your family is also casein-free, many places offer an Enjoy Life brownie. (I also packed g/f snacks each day for my boys in their fanny packs just in case we ran into an issue anywhere, but we didn’t.) Disney is incredibly accommodating! Enjoy! Thanks for the pin Angie :)! Gluten-Free Chex is one of the few labeled gluten-free foods we buy anymore. I use it for all kinds of stuff. I use the rice for bread crumbs, a mix of rice and cinnamon for graham cracker crumbs, but not the corn. Once when I was out of rice I grabbed the corn and used it as bread crumbs in meatloaf. You could taste the corn. It was yucky. We do like the DeBoles pasta but we can’t readily get it anymore so we use Heartland Pasta. I’d eat it daily but hubby doesn’t like pasta. The other can’t live without gluten free staple is Bragg’s Liquid Aminos. It tastes just like real soy sauce. Much like you when I started on this journey I used a lot of pre-packaged foods. I didn’t know how to make things, I didn’t know what to use, I didn’t know much. The one thing that got me away from the pre-packaged foods was the fact that I was missing the kitchen. I had baked since I was a child. I needed/wanted to get back in the kitchen. My first successful recipe was Alton Brown’s gluten-free chewy. It’s a chocolate chip cookie that tastes just like the real thing. I’m always available to help. I’ve been there, cried my eyes out over the failures, and wanted to give up but realized my husband’s health was worth more than anything else.